Because every snack is better if it's homemade, right? corn nuts are such a satisfyingly crunchy, salty snack, but small packages of the stuff can go for several dollars a bag. and why pay $3 for a tiny, snack-sized pouch if you can get weeks worth of snacks for the same amount? 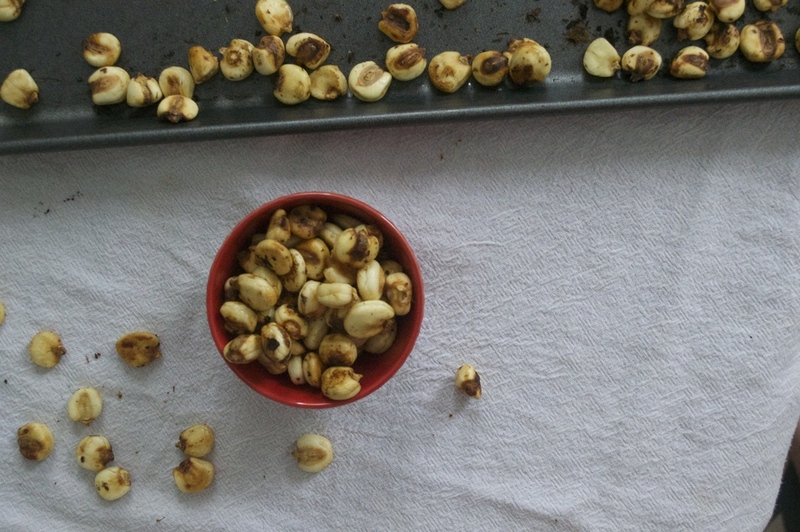 this recipe requires some advance prep – it's really quite simple, but the corn requires soaking before you can actually roast and enjoy these corn nuts, so make sure to start the whole process 1 day before you want to serve and eat. 1. prep work: rinse the dried corn, drain, and put it into a large bowl. cover with room temperature water and then cover the entire bowl with plastic wrap. allow the corn to soak overnight (about 12-15 hours for best results). 2. once the corn has soaked, drain it again and spread out onto a large, paper towel-lined baking sheet to dry (i used a 12- x 18-inch pan here and it worked just perfectly). when the corn has dried slightly, place it back into your large bowl and discard the paper towel. 3. preheat the oven to 325°f. 4. add the remaining ingredients to the bowl with the corn and toss until well coated. as someone with crazy sensitive skin, i definitely recommend putting on a pair of disposable gloves before handling the habaneros or tossing this mixture – the oils in these peppers are HOT and can easily burn, even if only on your skin for a short while, so be careful! 5. when everything has been well mixed, place seasoned corn back on the baking sheet and spread out, so that it is in a single layer. 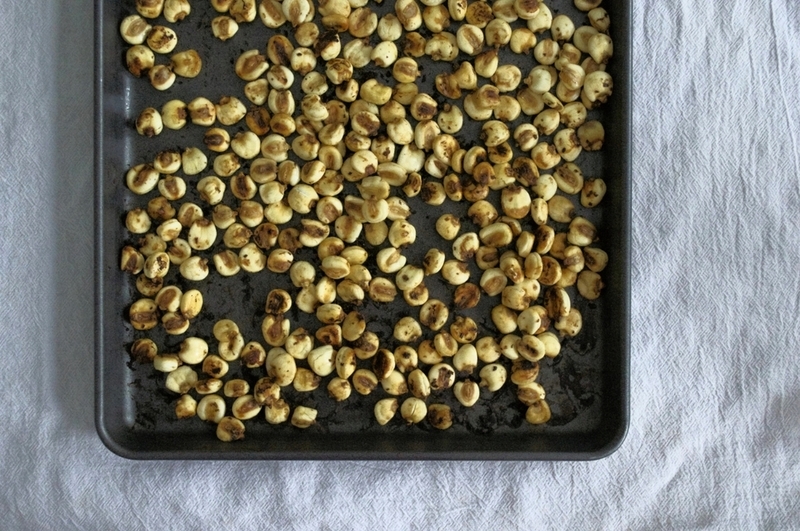 roast corn at 325°f for 60-75 minutes, or until toasted, browned in spots, and very crunchy. let cool before packing up or enjoying. *note: regular old table salt will work just fine here, but if you prefer, feel free to sub in a finely textured sea salt. what are you craving? type it in up top to find totally divine recipes for every appetite. plug in your email address here to get the newest updates and recipes from molasses & mayhem, right to your inbox. i respect your privacy, and will never use your personal information for anything other than sending requested newsletters and updates. you did it! look out for new awesomeness, coming your way soon! copyright molasses & mayhem; 2014.